Garmin DC 50 Li-ion Battery Pack. $44.99. Replacement lithium-ion battery pack for your Garmin Astro DC-50 GPS collar. Garmin replacement batteries are covered under a manufacturer's 90 day warranty. 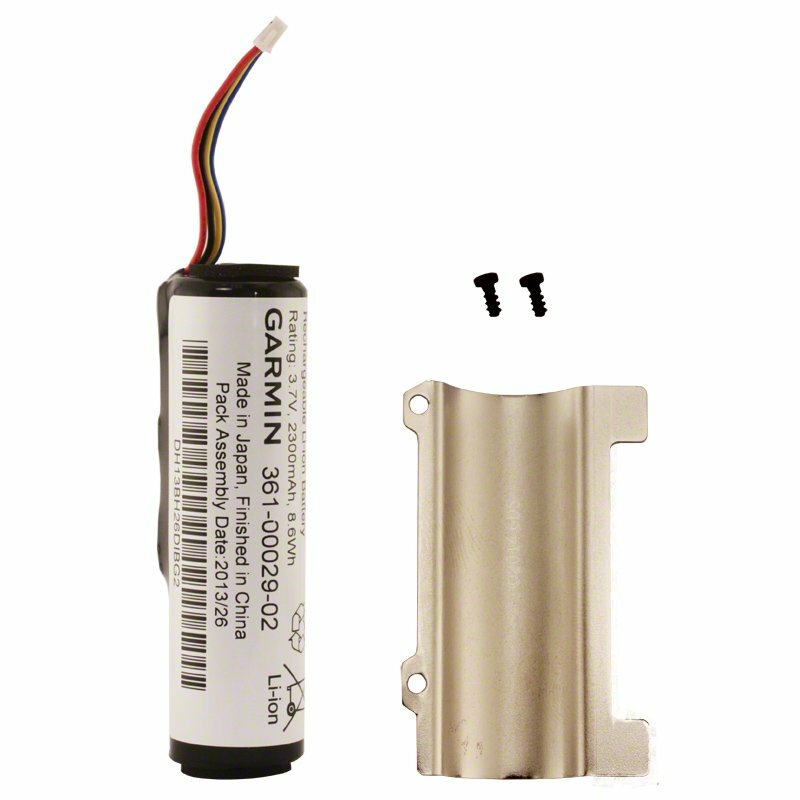 If your system is less than 1 year old contact Garmin before ordering replacement batteries. 1-800-800-1020. Please read all steps before starting. Before you replace the battery, you must remove all dirt, water, and debris from the device. Tools Needed: You will need a small Phillips screwdriver and possibly a small flat screwdriver to connect the connectors. 1. Remove the six screws from the outer edges of the back plate. You should leave the two inner screws in place. 2. Pry off the back plate. 3. Disconnect the four-pin and five-pin connectors. 4. Remove the three screws that secure the battery cover. 5. Remove the battery cover and the battery. Remember the orientation of the battery. You must install the new battery the same way. After you remove the old battery, contact your local waste disposal department to properly recycle it. 6. Install the new battery with the connector on the end nearest the Power Button. 7. Replace the battery cover. 8. Replace the three screws to secure the battery cover. 9. Connect the five-pin and four-pin connectors. You may need to use a flat screwdriver to help secure the connectors. 10. Press the Power Button to test the connections. When properly connected, a tone is emitted and the status LED blinks green. Turn the collar back off before proceeding. 11. Make sure the gasket located inside the bottom cover is fully seated. 12. Replace the back plate. 13. Replace the six screws to secure the back plate. After you install the new battery, charge the collar completely.